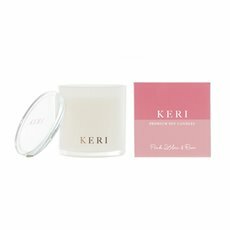 Introducing our KERI ® Luxury Soy Candles featured in a contemporary and exclusive glass jar. 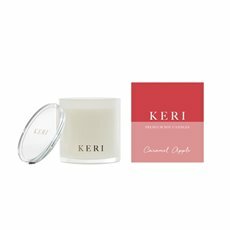 Our soy candles are hand crafted with natural, sustainable soy wax and blended with extra fragrance for a more enjoyable scent. All the exclusive fragrances from our Luxury range have been specifically assembled using essential oils. They will undoubtedly relax, tease and refresh your senses all year around once you lift the elegant crystal lid. Neatly presented in a colourful packaging, they are available in three sizes to suit all spaces in your home or work area and all your needs for gift giving. Read more details about our soy candles and our care & safety tips on our FAQ page.